“Insight” – literally “interior vision” – is a term that refers to intuition as an instantaneous and sudden enlightenment. 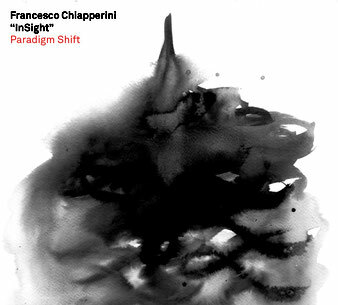 This concept underlies the music of Paradigm Shift by InSight, the trio led by musician and composer Francesco Chiapperini. In these compositions, the space usually given to the traditional rhythm section of drums and bass disappears, replaced by an unusual line-up of instruments. Clarinets, piano and electric guitar merge melody and rhythm, with continuous interplay and swap of roles. Gloomy or epic melodic lines and persistent percussive sections give to the three musicians the freedom to distance themselves or to overlap with those elements, balancing between written and improvised parts.